Send me an black ink print of a loved one's thumb or finger. I will make an impression on the back of this baseball charm! 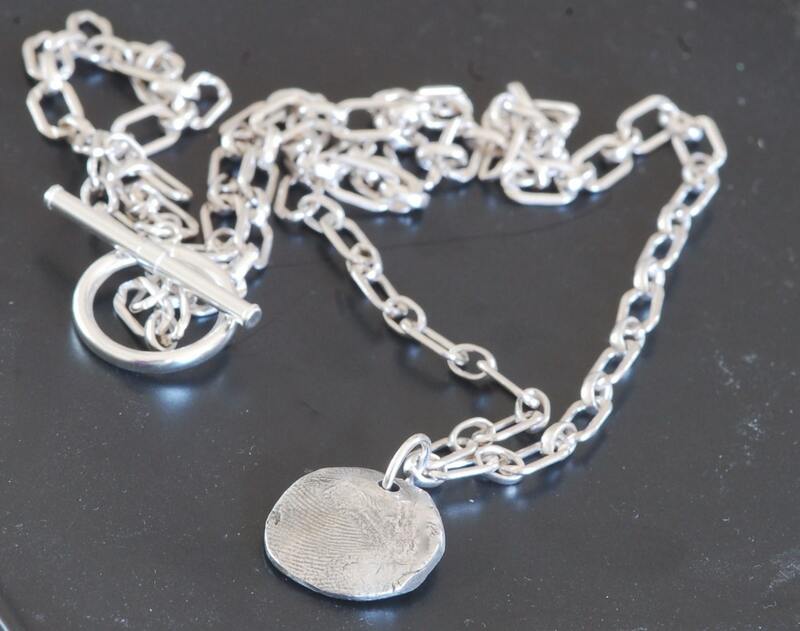 A fine silver charm (.999) can be stamped with a name, initials or saying...just let me know what you want to say. Sterling silver necklace is 16 inches long. 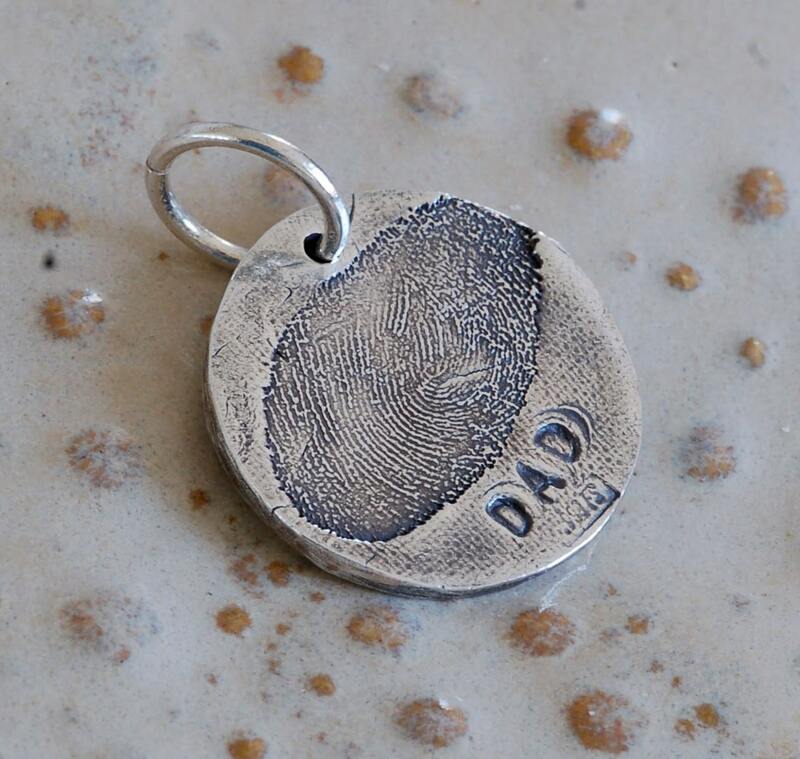 This silver charm has a rustic, artisian feel due to small imperfections which make it a lot more interesting! Charm is 2.5 mm across. I tried to give you a scale by laying it next to a quarter. I can stamp a name or initials or small message. Convo me! Also, convo me for team discount! 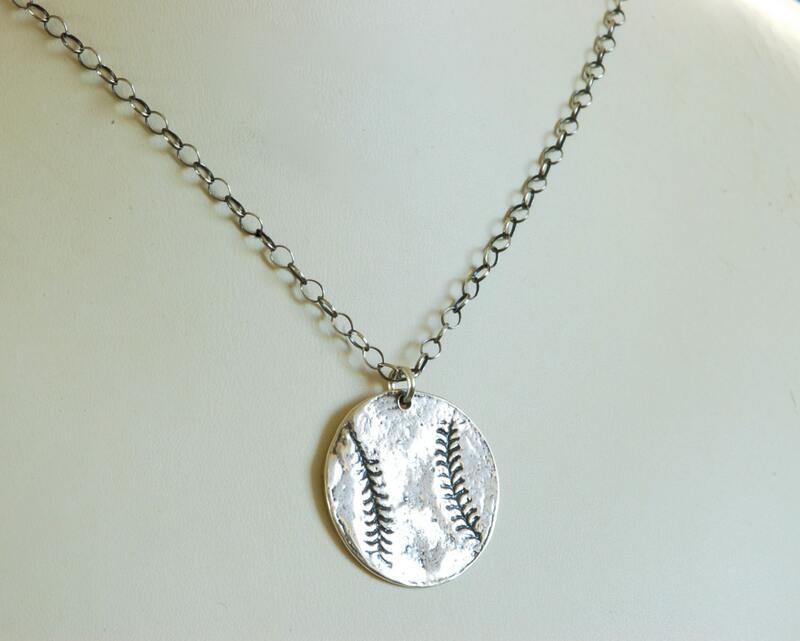 Fantastic customer service and baseball charm is a wonderful keepsake now for the loss of my nephew. Turned out great!